The General Data Protection Regulation, or the GDPR, which is coming to force on May 25, 2018, will have a huge impact on ecommerce businesses. In one of our previous posts, we guided you through the main aspects of the new regulation. To achieve the GDPR compliance, online shops and marketplaces will have to make sure they process and store customer information securely. 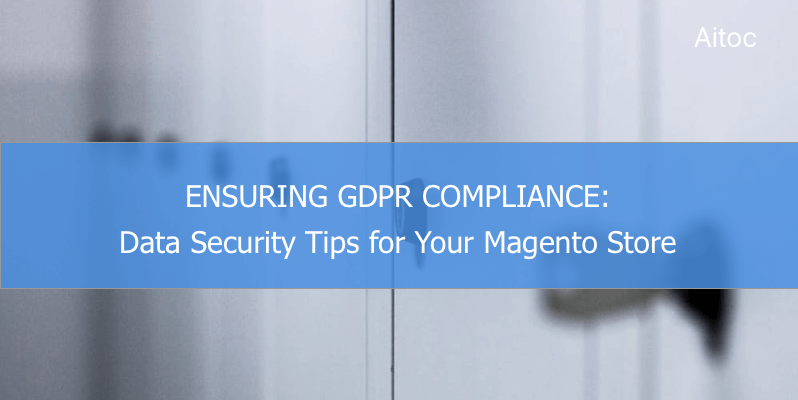 Thus, we now have prepared a list of useful Magento security tips that will help merchants protect their websites and data. Website security is the key element for a prospering ecommerce business. When shopping online, buyers inevitably share their personal data with sellers. So, they’re looking for the ones they can rely on and trust. And they expect that these sellers will keep their data secure and use it only for the purposes it’s originally intended for. Fair enough, right? Luckily, there are a number of proven ways for store owners to guarantee the security of customers’ data. Here is the list of the most effective ones. A default admin area, like the one in Magento, is an easy target for hackers. Using automated techniques to find standard configurations and basic security errors, they can hack your website with almost no effort. Thus, you have to get rid of default admin paths and credentials in your admin area. Changing them won’t take a lot of time, but will put a spanner in the works of potential hackers. You can also create a whitelist of IP addresses, so that only authorized users could access the admin panel, as well as assign different permissions to your admins. Keep in mind that the local security policy is important too, so protect your internal network with a powerful firewall. As already mentioned, simple password combinations can be easily cracked with modern automated tools. Taking control over the passwords users choose is another way to secure your website. Add specific validation rules to your sign up and checkout forms that will ask users to create unique usernames and passwords that are harder to break. For more protection, consider implementing two-factor authentication on your website. The less personal data you store, the better for the overall website security. Decide what customer data is essential to shop at your store. Don’t ask buyers for extra information, if you don’t really need it. Apart from that, try to avoid storing payment card details. With a variety of reliable third-party payment providers like PayPal, you can free your database from dealing with payment data, yet support the security of all transactions. Unfortunately, you can’t get away from the risk of losing your data. This can happen not only because of hacks, but also due to hardware malfunction or just human factor. Allow the ability to restore the data, if need be, by performing backups on a regular basis. Create a backup schedule and follow it strictly. You can run manual backups, leverage automatic backup services, or make use of the combination of both, depending on your resources and needs. Compliance with the PCI DSS standard is critical for ecommerce websites accepting credit cards. That is to say, every online store has to be PCI compliant. By following PCI DSS recommendations and guidelines, you significantly reduce the risk of getting your private data compromised or stolen. So make sure you support the standard. Prevention is better than cure. 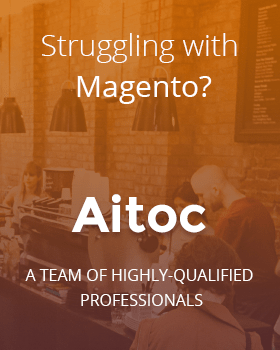 Checking your Magento website for potential vulnerabilities should be put into practice. Perform PCI scanning and penetration testing regularly to detect and protect vulnerable areas. It’s also vital to have a robust alerting system, so that store managers could instantly receive notifications about any suspicious transactions. These may be, for instance, a user performing repetitive actions from the same IP address or a mismatch in order details like different recipient and cardholder’s names. You should be able to discover such kinds of issues at the earliest. As any industry-leading platform, Magento regularly releases system patches and updates that make it resistant to potential hacker attacks. So to ensure your online store is secure, you have to stay on top of the latest Magento versions. In case your website has any third-party plugins, you have to keep track of their updates too. Data security is the very first aspect you have to consider to be GDPR compliant. Adhering to the security practices we’ve shared, you can secure your ecommerce website and, naturally, customer data. And that will ultimately help you cultivate trust and confidence among your customers.